Are you looking to align, transition or gain certification to ISO 45001? Having a structured health and safety management system like ISO 45001 in place is crucial, ensuring that your organisation manages health and safety proactively. Structured health and safety management systems such ISO 45001, mean your company understands its health and safety risks, meets its legal duties, provides safe and healthy workplaces, and prevents work related injuries and ill health. If you’re not already familiar with the advantages of this important international standard, using ISO 45001 consultancy services will get you up to speed – fast. Our experienced and qualified health and safety auditors provide expert audit and assurance services. Paired with our pragmatic guidance and recommendations, you can be confident your health and safety management system will conform to ISO 45001, is effective, and provides for continual improvement. We’re more than just audits. We host top level management briefings on ISO 45001. 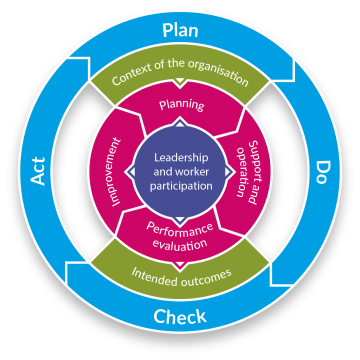 These will: increase senior managers’ awareness of ISO 45001; ensure they are aware of their duties within the standard; and help you gain their support, so you can meet your management system aims. Our gap analysis process will help you understand the status and position of your management system, and identify areas of improvement to help you achieve your goals and conform to ISO 45001. Understand the context of your organisation. 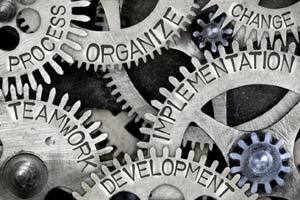 Identify your relevant interested parties, their needs and expectations, and how they can influence your management system outcomes. Identify your risks and opportunities. Determine your legal and other requirements. Establish the scope of your management system. Develop and maintain documented information on your organisation’s legal requirements and other requirements. Develop a tailored organisation-wide training needs analysis. Deliver health and safety training to ensure your workers are competent. 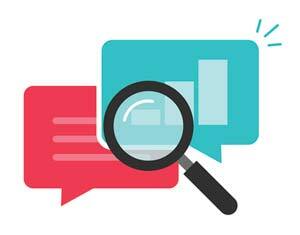 Develop a tailored communications plan for your organisation. Develop and maintain your documented operational control processes. Carry out your risk assessments to identify hazards and eliminate or reduce risks in line with the hierarchy of control. Support you with your contractor and outsourcing selection and control processes. Develop and test your emergency response plans. Carry out and report on monitoring and measuring. Evaluate your compliance with legal requirements and other requirements. Develop incident, non-conformity and corrective action processes and carry out investigations to identify causes and the most suitable corrective measures. Help you identify opportunities for continual improvement, and ensure they are evidenced. 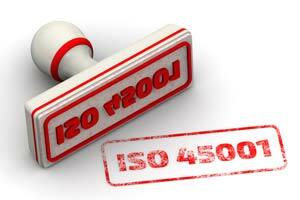 Our ISO 45001 consultancy services include certification and audit support. We can support your internal auditing needs and act as your competent, independent auditors. Our experienced auditors will ensure your audits are properly planned, carried out objectively, recorded and reported on. Our audits will identify compliance and non-conformities, and we’ll make recommendations for corrective actions. We can also attend your certification and ongoing surveillance audits. If your organisation needs to put a structured health and safety management system in place, our expert ISO 45001 consultants will help you make this happen.